This is my male C gracilis. 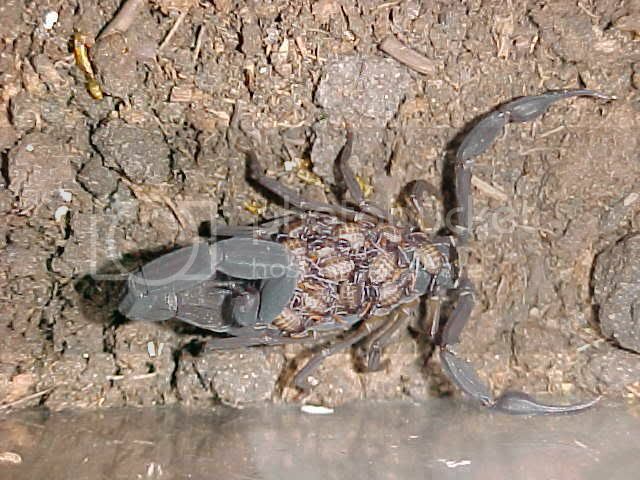 Note that part of his chela (pincer) is missing. Doesn't seem to slow him down though. Congrats! How many babies did you have? Around 20 but only 10 survived. Here are the ones I collected Saturday..
Oh man, I'm jealous. Is it hard to collect them? They are actually easy to collect. I just start looking under rocks. I always carry a set of long forceps which I get them by the metosoma (tail). I didn't collect all the ones I saw. I have some people wanting to buy some from me so I just collected what I needed. I have been shipping these all over the country since March. 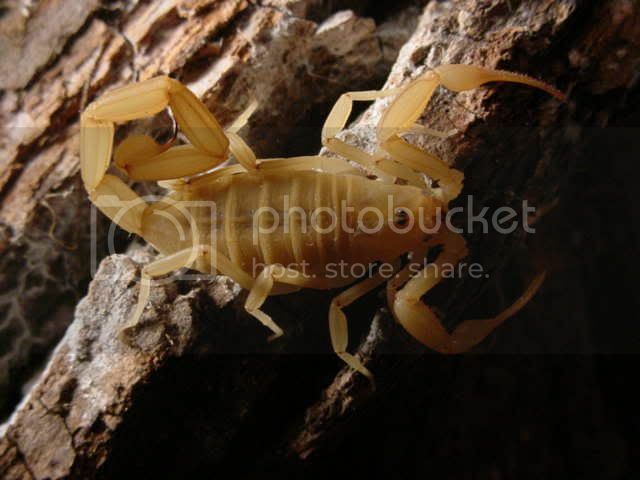 They are very common around here but it is the only scorpion native to my area. 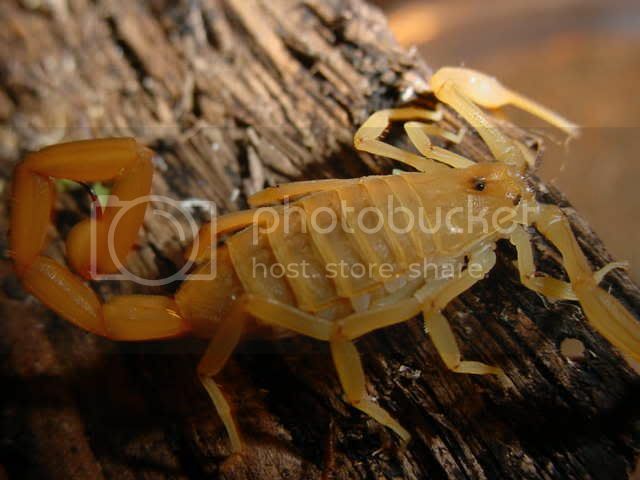 I just collected these C vittatus and decided to throw 2 crickets in to see what would happen. They were hungry!!! HAHAHA!!! They ganged up on the crickets and started fighting each other for the kill. Here are some scenes!! 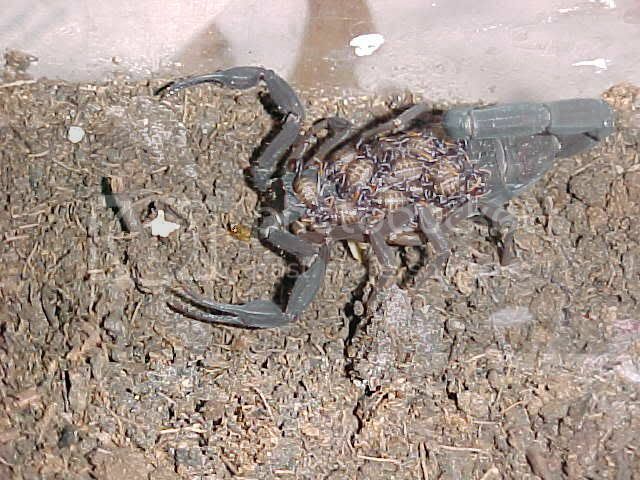 Just happen to check on the C vittatus and noticed one was molting. I just got to see the end of it. 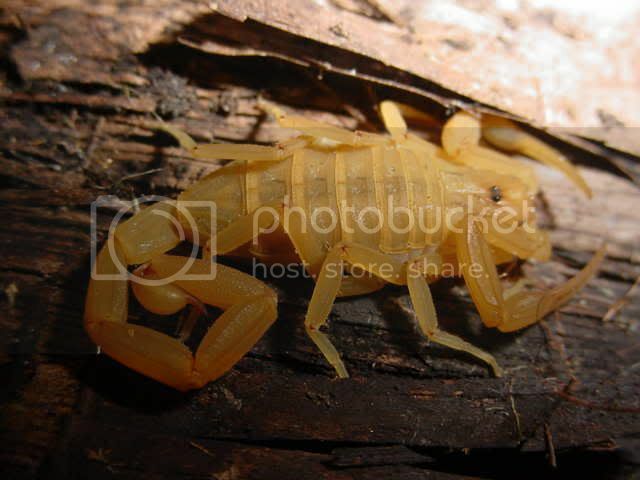 Where do you collect those scorpions? I am interested in collecting wild animals... but I have no chance to travel thier living areas. Ezek a postok már cca 2 évesek. Brian nem jár már ide (van saját fóruma). Amúgy azsszem valamelyik déliu államban él az USA-ban.